Another [HOT DEAL] when you Preorder games key, all customers who Pre-Order games can get $5 Gift card for Free, your account will be topped up and you can use “Wallet Credit” option at checkout page to complete your order only with 1 click, accept the offer on cart page. At the moment, Upcoming AAA games available to pre-order at 1stpal.com are Call of Duty: World War II Steam PC Key and Need for Speed: Payback Origin PC Key and Star Wars Battlefront II PC Origin Key . Again, Call of Duty makes what it deserves to be and expects to be. it’s a while Call of Duty fans are waiting for a game that illustrates the memory of a forgotten AAA game, It’s Call of Duty World War II. If you want to head into the middle of World War II battles, there is no option rather than COD WW2. You are in Normandy and the mission is to battle across the europe in three game modes you prefer to select; Campaign, Multiplayer, and Co-Operative. Need for Speed Payback has a single player campaign that follows the exploits of former street racer Tyler Morgan. After being double-crossed and forced into exile, it’s time for Payback. With helicopters and Rhinos in their arsenal, you’re going to have to push yourself, and your car, to the limit if you’re going to outrun and get away from the local PD. One thing is for sure, they certainly won’t go easy on you. Experience rich multiplayer battlegrounds across all 3 eras – prequel, classic and new trilogy – or rise as a new hero and discover an emotionally gripping single-player story spanning thirty years. + What is $5 Gift Card? Every account has a wallet credit that users can top up it and use it only with one-click to complete orders. So, customers who Pre-Order a PC Cd Key before release date will receive $5 Gift Card Giveaway in their wallet and could be used for buying other games free. + What should i do if i receive an used/invalid cd key ? 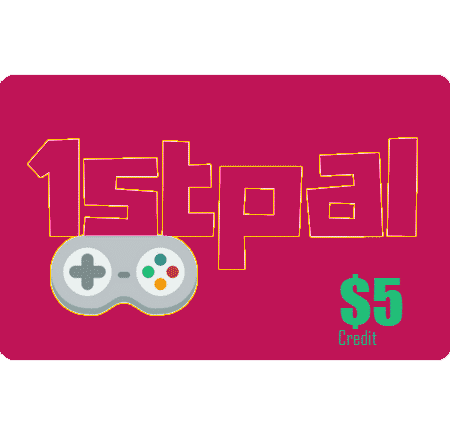 READ MORE about 1stpal.com “Refund Policy” here. Notice: Applicable up to 2 Pre-Order per account and gifted credit is valid for 1 month to be used.